We dropped several phenotypes Grenadines Mountains and crossed it with our varieties to look more sativa plant and stronger effect. Kryptonite Feminized Cannabis Seeds by Pyramid Seeds: We dropped several phenotypes Grenadines Mountains and crossed it with our varieties to look more sativa plant and stronger effect. The result was this quick flowering variety. Good looking plant medium height, long thin buds, very compact and heavy coloured deep green that is becoming clearer as flowering progresses. Kryptonite has a touch of acidic haze with a touch of the junction with Yumbolt. 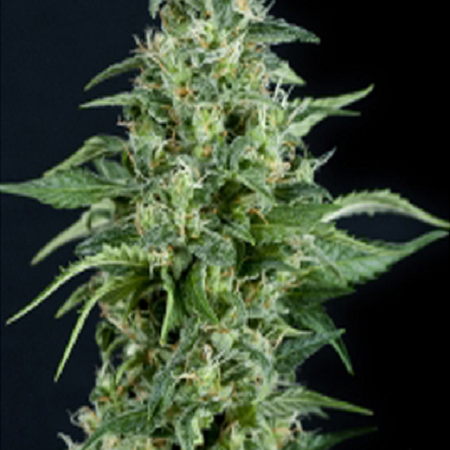 Possibly the world's fastest sativa Kryptonite Feminized by Pyramid Seeds produces thin long buds, but very dense, compact and heavy - decorated with white to yellowish-golden hairs and a nice layer of white crystals. Kryptonite delivers 500-600 grams of highly potent weed with a THC level of 17% and 1.9% CBD. Have a seat, grab your bong, fill the bowl, have a good deep puff and you instantly realize she is not only speedy with her flowering - next, sit back and enjoy the strong, narcotic effect.